After a hard fight, Together Baton Rouge and allies won a salary increase for every teacher, para-professional, bus operator or other East Baton Rouge school district employee with two or more years at the district. "As they have at several previous meetings, employee groups — Louisiana Association of Educators, the Louisiana Federation of Teachers, Service Employees International Union and the East Baton Rouge Bus Driver’s Association — pressed once again for raises for all the district employees. The groups have joined forces with the faith-based group Together Baton Rouge to press the issue as well as to push the school system to reject all future requests from manufacturers for property tax breaks via the state’s 80-year-old Industrial Tax Exemption Program. They want the school system to use any ITEP savings to increase employees pay." Leaders commended the school board and Superintendent Drake for this action, while acknowledging that more work remains to be done to secure salaries. In their words: "this was a big, big step." Northern & Central Louisiana Interfaith leaders celebrated significant progress in how Caddo-area public officials weigh decisions related to public monies and the Industrial Tax Exemption Program (ITEP). As a result of a tenacious local effort, leaders in Caddo Parish succeeded in persuading Sheriff Steve Prator (R) to become the first elected official in the state to deny an ITEP request under the Governor's Executive Order. Caddo School Board soon followed, rejecting Inferno's ITEP request by a vote of 7-5. Even after the Caddo School Board President called a special session to reconsider Inferno's request, the board rejected the request -- again. After Sheriff Prator rejected all ITEP applications by Calumet, the Caddo Board attorney attempted to rewrite board policy to automatically accept all ITEP applications presented. NCLI successfully defeated the motion. The City of Shreveport eventually approved a separate ITEP request by Calumet but, after intervention by the leadership of NCLI, reduced the approval to only 31-50% of the request. Seeing the writing on the wall, the Chamber of Commerce then attempted to present a matrix to the School Board to use as a guide when considering future requests. But NCLI was quick to respond with their own matrix, presented to the Board by Reverend Theron Jackson. The School Board eventually integrated NCLI demands into a revised matrix. Not blind to what was going on, nearby Bossier Parish School Board and Police Jury decided to bypass the controversy and reject Calumet's ITEP request outright! After two years of hard work on tax exemptions in Louisiana, Northern & Central Louisiana Interfaith leaders are proud of their work and looking to shift their attention to other pressing issues impacting their communities. 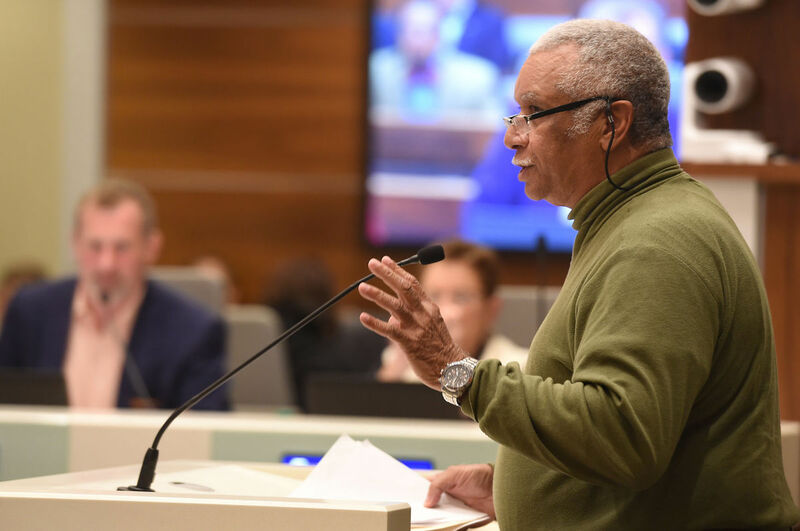 This month, three more local entities â€“ Caddo Parish, the City of Shreveport, and the Caddo Parish School Board â€“ will vote on multi-million dollar tax exemption requests, one application at a time.